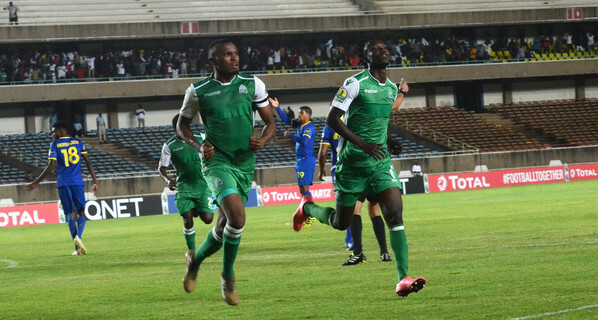 Kenyan football giants Gor Mahia has been paired with RS Berkane of Morocco in the CAF Confederations Cup quarterfinal after a draw held in CAF Headquarters in Cairo, Egypt on Wednesday evening. Gor Mahia will host RS Berkane on Sunday 7th April in Nairobi before the second leg match on Sunday 14th April, 2019.Should Gor Mahia overcome RS Berkane in the quarterfinal they will face the winner between Nkana FC of Zambia and CS Sfaxien of Tunisia. Gor made it to the quarterfinal after finishing second in group D level on points with winners Zamalek but with an inferior goal difference. Domestically, the tidings look good for the defending champions Gor Mahia who are placed second on the log just a point adrift of leaders Sofapaka (33 points) but with three matches at hand. According to Wikipedia, RS Berkane (Renaissance Sportive de Berkane) was founded in 1938 and are nicknamed "The Oranges".Their home ground is the 18,000 seater Stade Municipal de Berkane.